Hermeticism is associated with the personality of Hermes Trismegistus, who left the traces of his presence in different parts of the world for hundreds of years. In particular, he was the last king of Atlantis, a high priest in ancient Egypt and the one who contributed to the preservation and dissemination of ancient knowledge on Earth. Once during archaeological excavations researchers discovered some pottery smithers with strange inscriptions and deciphered them. These were the most ancient laws of humanity. And the most striking thing is that these laws still work in our times. The first law of Hermes "THE ALL IS MIND; The Universe is Mental." What does it mean? What is the mind ? Mentality is our thought forms. It means a presence of thought in any subject matter. Our planet is a thinking being. It does not matter whether you believe it or not. Try to imagine that there are thinking entities everywhere around you. Try to listen, to communicate with these entities. And see, what will be the result of this communication. The second law is the law of correspondence, "As below, so above. As above, so below. " According to the second law, if you want to have something tangible in this world, your thought forms have to be clear and explicit. If you are not telling or defining clearly something, if you are not certain about your desires, they will never be fulfilled. Because the effect of mirror reflection is functioning here: "As below, so above. As above, so below. " So, if you have a disorder in your home and don't clean up, on mental level too you will probably be a mess. If you have a particular desire, it must be very clearly related to what you have on your physical level. If you want to become a great writer, the desk you are working at should be in absolute order promoting your work: no dust, no dirt, minimum number of drafts, required books. When drafts are all over and get collected somewhere, you get chaos and it becomes difficult to move on. Suppose you have your own sewing workshop. You should clearly see what you are going to sew tomorrow, in a year or two. You need to be clear on the future of the workpiece, otherwise there will be no progress. If you store old dirty rags and do not find any use for them, it will stop your progress. In any business, you need to clearly see what you'll do. And do not wait for tomorrow, if you postpone all is gone. 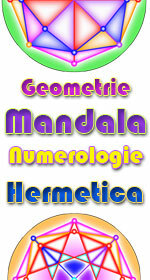 This entry was posted on joi, aprilie 04, 2013 at joi, aprilie 04, 2013 and is filed under Articole, Institutul Hermetic . You can follow any responses to this entry through the comments feed .